Mr. Pujadas is a retired principal of PricewaterhouseCoopers (PwC) LLP and served as vice chairman, Global Advisory Services, of PwC International from 2008 to 2016 and leader of PwC’s U.S. firm Advisory Practice from 2003 to 2009. Mr. Pujadas held several other senior management positions at PwC, including as a Managing Partner for Strategy and leader of the Global Risk Management Solutions practice for the Americas, the Financial Services GRMS practice, and the global Financial Risk Management Group. Before joining PwC, Mr. Pujadas was the chief risk officer of Santander Investment, the international investment banking arm of Banco Santander from 1995 to 1998. He was a member of the executive committee of Santander Investment and the management committee of the commercial banking division of Banco Santander. 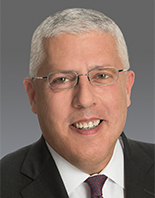 Before joining Santander, Mr. Pujadas was a principal in the Capital Markets and Treasury Group of PwC’s U.S. firm financial services industry practice, specializing in the development and applicable of financial and information technology to balance sheet risk management and capital markets and treasury activities. He is a member of the board of directors of UST Global Inc. and serves as a senior advisor to the Eurasia Group Ltd. He also is a member of the board of trustees of The Rye Country Day School and a member of the board of overseers of The School of Social Policy and Practice of the University of Pennsylvania. Mr. Pujadas received a Bachelor of Science in Economics (BSE) in Finance and a Bachelor of Applied Science (BAS) in Applied Science/Technology, with a concentration in Computer Science, from the University of Pennsylvania.